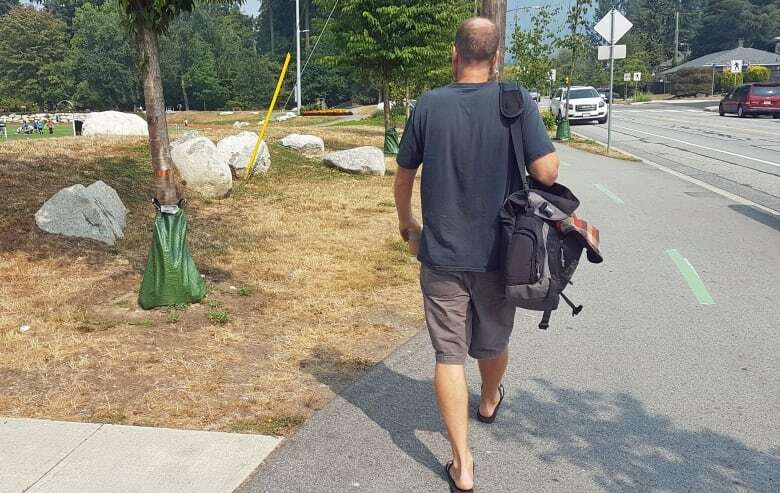 A former Vancouver nurse has filed a complaint with the BC Human Rights Tribunal saying that the 12-step approach did not work to help him overcome substance abuse, but it's the only addiction program acceptable in the nursing profession and he lost his job when he stopped attending. There's a saying in Alcoholics Anonymous: "It works if you work it." But it did not work for Byron Wood. Wood is an atheist, and found it impossible to put his life into the hands of a higher power, as the 12 steps require. He's also trained as a nurse, and knew the scientific evidence in support of AA is far from conclusive. "I didn't get any benefit from it; I didn't find anything therapeutic about it," Wood told CBC. "Everybody would tell me that this was not a religious program, you can believe in any higher power you want. But as somebody who doesn't believe in a god and doesn't subscribe to a religion, it was quite ridiculous." Wood was a registered nurse, a competitive runner and a triathlete, but he was also a binge drinker who occasionally abused other drugs. He'd been in at least two car crashes while he was drinking, according to a doctor's report, but says he'd never been drunk at work. His world came crashing down in October 2013, when he landed in the psychiatric ward of Vancouver General Hospital. He'd recently come home from a vacation filled with alcohol and drugs, and was in severe withdrawal. In the hospital, he was diagnosed with substance use disorder. His professional college was informed, along with his union and his employer, Vancouver Coastal Health. After his hospitalization, he continued to use, at one point suffering a near-fatal heroin overdose. Wood was referred to an addictions specialist, who drew up a plan he'd have to follow if he ever wanted to return to work — he was under suspension while undergoing treatment. AA was a mandatory, daily element of that plan. When Wood stopped going to meetings, he lost his job, as well as his registration as a nurse. He'd offered to attend meetings with secular support groups, see a counsellor and undergo regular blood testing, but that alternative plan was rejected by his doctor, according to emails provided to CBC. Wood also asked to be referred to a new doctor who could recommend secular alternatives to AA, but his union informed him that it only uses addictions specialists who follow the 12-step model, the emails show. 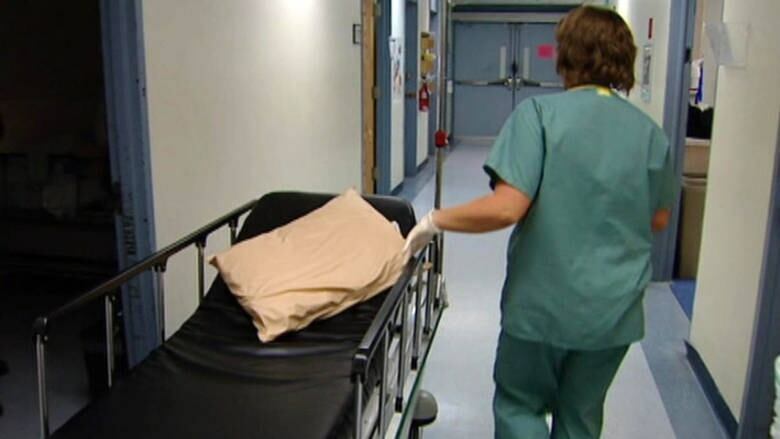 Researchers say Canadian nurses with addiction problems are usually required to attend 12-step programs in the interest of protecting patient safety. They're allowed little to no choice in their treatment plans. 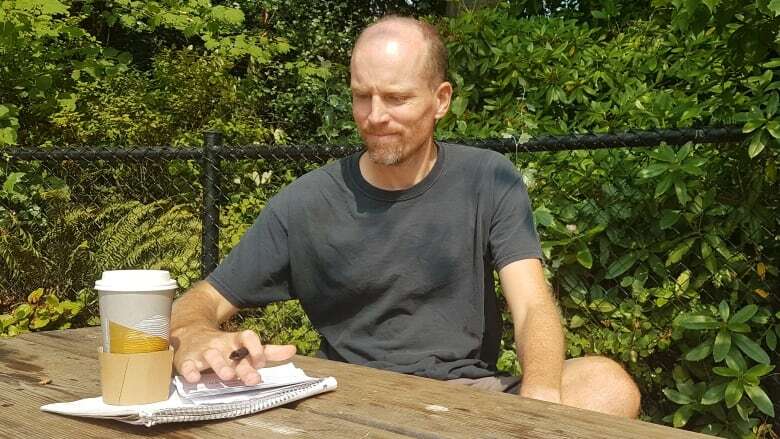 Now 41, Wood keeps copious notes about his case, and is resolute about changing the standards for addiction treatment in B.C. His determination has earned him a reputation for stubbornness — a union representative described him as "very difficult" in an email. But the criticism doesn't faze him. "I asked for evidence-based treatments and it was refused to me. I don't think there's any other area of healthcare where a person isn't allowed to choose their own treatment type," he said. Wood's story raises questions about how employers treat healthcare workers struggling with substance use disorder, and the dependence on 12-step programs and complete abstinence in some regulatory programs. "I don't agree that, based on the evidence, this ever should have been considered to be the standard of care," said Karen Urbanoski, a scientist at the Canadian Institute for Substance Use Research in Victoria. "There is a risk that we are going to be forcing people, or trying to force people, to engage in a service or a support that is legitimately not right for them." Since the 12 steps were created more than 80 years ago, there's no question they've been instrumental in the recovery of many addicts around the world. In the public imagination, and in certain sectors of the medical profession, they're still seen as the best way to treat addiction. But leading addictions researchers have long questioned the overall effectiveness of AA and its requirement for absolute abstinence. Recent decades have seen the development of numerous evidence-based pharmaceutical treatments for addiction, along with secular alternatives to 12-step programs. These researchers say everyone needs to have choice in their treatment path, if there's to be any hope of recovery. 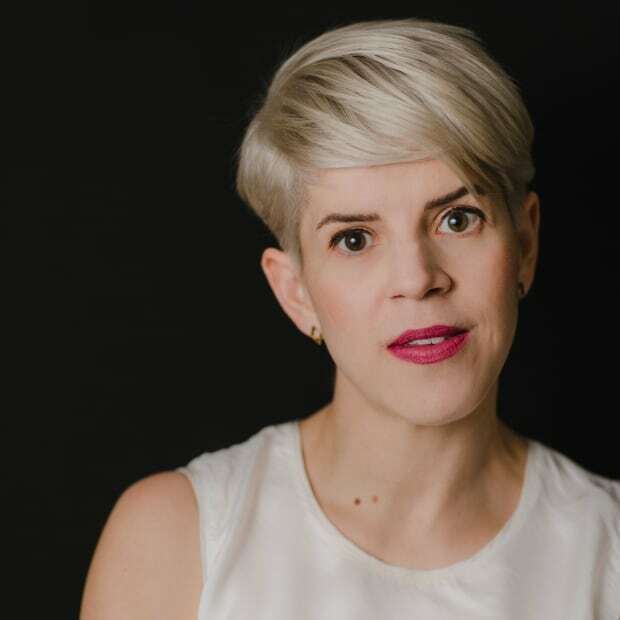 That isn't the case for RNs, according to Charlotte Ross, a PhD candidate at Simon Fraser University who has studied the mandatory program for nurses with substance use disorders in a western province. To protect the privacy of her research subjects, she can't reveal which province, but says all Canadian programs for nurses are very similar, and they're all based on the 12-step philosophy. "The standardized program is one size fits all — and it doesn't. There are some people it works for … but there's some people for whom it doesn't. And there's a whole array of other treatment options, that are based in public health, that are utilized with the general public, that nurses aren't allowed," said Ross. Today, Wood says he no longer abuses drugs or alcohol. He got through his addiction with help from a drug called naltrexone, which blocks the intoxicating effects of alcohol and opiates. Over time, it decreases the desire to consume those substances. It's an option he says he wasn't offered while he was still in the mandatory treatment program. A physician who recently treated Wood says the drug has produced a dramatic improvement. Wood has filed a complaint with the BC Human Rights Tribunal, arguing that he was subjected to discrimination on the basis of religion and mental disability. Many groups have lined up behind him, saying his case is an important human rights issue. Several experts and critics of 12-step programs have written letters to the tribunal, saying that Wood's complaint is in the public interest. His supporters include scientists, doctors, psychotherapists, lawyers, the B.C. Civil Liberties Association, the B.C. Humanist Association, and the Centre for Inquiry Canada. The B.C. Nurses' Union and VCH are named as respondents in the complaint. Both organizations declined to comment for this story. Though AA has been around since 1935, when it was created by two recovering alcoholics, there is little decisive scientific evidence supporting its use. Less a medical treatment than a fellowship, Alcoholics Anonymous is a sort of group therapy, originally rooted in Christianity. The 12 steps require members to "turn our will and our lives over to the care of God as we understood Him," admit their faults, and make amends with those they've hurt. Proponents say it's helped millions rebuild their lives, and can work for anyone who's really committed to the program. The Greater Vancouver Intergroup Society, which runs AA meetings in the region, says the organization is not religious, but there are some secular meetings that use versions of the 12 steps that have been adapted for atheists and agnostics. But there are those like Wood who object to the religious leanings of AA, and question how effective it really is. A 2006 Cochrane review of the available research on the issue found that "the available experimental studies did not demonstrate the effectiveness of AA or other 12-step approaches." A new review is currently underway. According to Dan Reist, an assistant director at the Canadian Institute for Substance Use Research, most peer-reviewed studies have shown that AA is not particularly effective. "Does it have behind it some good scientific studies of cause and effect that is often claimed by the proponent? The answer to that is: No, it doesn't," he said. There is strong evidence that AA works for certain people, Reist added, but only those who want to be there. "The idea that we can simply grab people, force them into a situation where we can fix them, misunderstands the very nature of addiction. That's what's wrong in the Byron Wood case," Reist said. After Wood lost his job, he filed a complaint with the College of Physicians and Surgeons of B.C. against the addictions specialist who treated him, alleging religious discrimination and inadequate treatment — among other things. That complaint was dismissed. And so Wood appealed to the Health Professions Review Board, which provides independent reviews of decisions from professional regulators in B.C., claiming the college's investigation had been inadequate. But that was dismissed this summer — the review board said the doctor had acted within the "community standard" for addictions treatment, and that the college's inquiry committee cannot be expected to settle scientific debates about the merits of AA. Wood is planning to file for a judicial review of that decision. Dr. Galt Wilson, senior deputy registrar for the physicians' college, defended the treatment plan drawn up for Wood. He wrote in an email that addictions experts who treat people in "safety-sensitive occupational roles" like nursing recommend abstinence-based recovery, including the 12 steps. Wilson acknowledged that the scientific evidence on AA is not conclusive, but cited a 2008 study of 12-step-based addictions programs for American doctors, which found "significant positive outcomes." That study did not include a control group, or compare the outcomes for physicians who did not take part in 12-step meetings. Does AA get an 'F' for treating alcoholics? Meanwhile, the College of Registered Nurses of B.C. said that treatment programs for RNs are developed at the discretion of medical specialists in addiction. "Ultimately, it is up to the employer to decide whether a nurse keeps their job," the college said in a written statement. Wood is currently waiting to see if his human rights complaint will be allowed to proceed. In the meantime, he's healthy and working as a landscaper. He said his prescription for naltrexone has changed everything. "Since taking that, I've been able to drink alcohol moderately, and abstain from other drugs," Wood said. 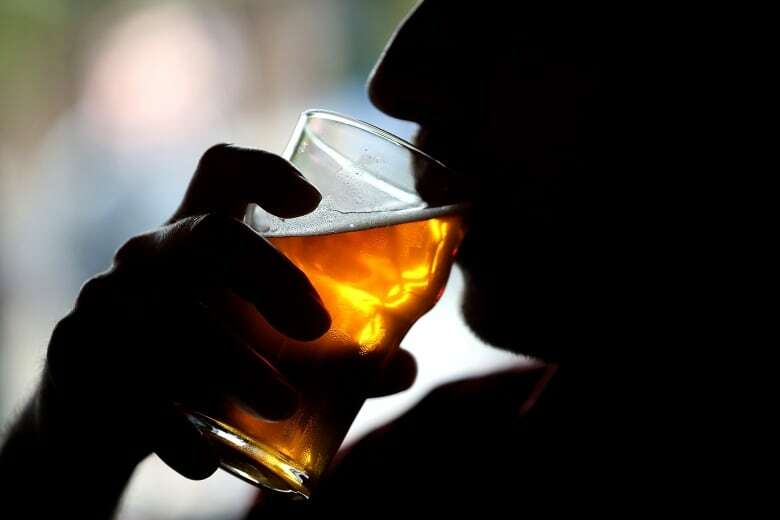 He said he now has a beer every one or two weeks — and sometimes, he doesn't even want to finish his drink. 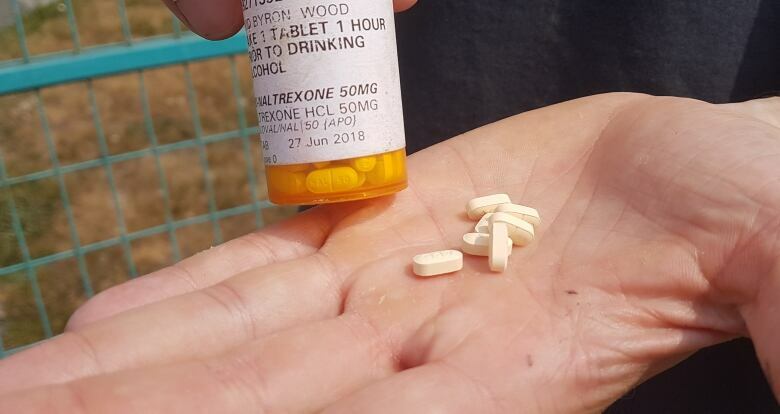 In June, 1,234 prescriptions for naltrexone were filled in B.C., according to the ministry of health. The researchers interviewed for this story cautioned that, like every other available addiction treatment, naltrexone does not work for everyone. But a prominent B.C. addictions physician who recommended the drug to Wood wrote in an affidavit for the review board that the drug has had a "transformative effect" on his patient. He also suggested that the rigid requirement to attend AA meetings actually contributed to Wood escalating his drug use after he was hospitalized — leading to a near-fatal heroin overdose. These days, Wood says he misses working as a nurse, but he's not sure he would be in such a healthy place if he'd continued with the original treatment plan. "It's one of the most basic things in healthcare, that a patient is supposed to have the right to choose their own healthcare — voluntary, informed consent — and I wasn't given that," he said.